Image to Flash Converter is a powerful flash flipping software to helps you convert Image file to flash flipping book, you can use it as Flip Image creator and flash flipping book converter. This Image to flash Converter can not only help you convert Flip books, but also design beautiful Flip album books as you like, all general design functions are provided for you to edit each flip photos and make attractive flash photo slide show. The software gives you a new way to create flash flipping book which without any program tricks. 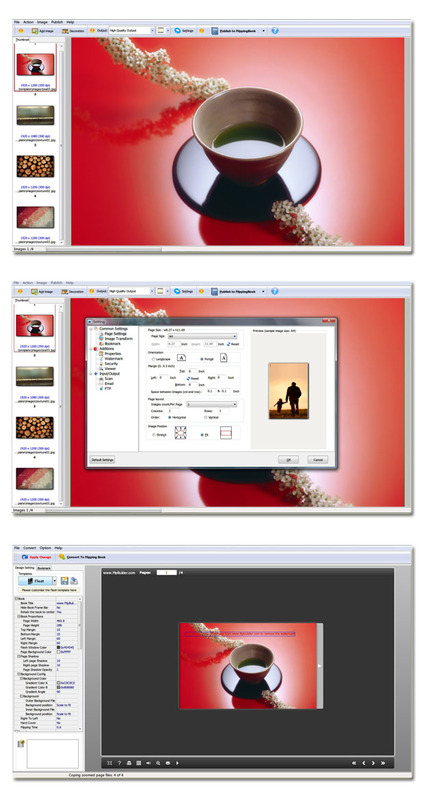 With Image to Flash Converter, it provides two edit interface to make attractive flash photo slide show. The first edit interface enable you create image book then publish to flash flippingbook, PDF or other output type; the second edit interface helps your convert you image book to flash flipping book. Many Americans are struggling with their mortgages and don?t know where to turn. Modification.org can help you and your family review your different Loss Mitigation options and help you make an educated decision while still remaining in your home. Magento to NetSuite Service allows you to move your Magento web-store data to NetSuite in real-time. It's secure and very easy to use. Stylish Page Turning for PowerPoint creator, is an All-In-One initiative program that create rich interactive Flash PowerPoint in a few steps. Besides, the page turning software enables you to transfer PPT files to flash book in Batch mode. Free Page Turning Book Maker, Free Page Flip Maker, is a helpful assistant that enables you to create free page turn book from your own PDF files in a couple of clicks. Excellent featured office account maintaining application manages complete financial information, stock details, sale-purchase records, tax reports easily. Cost effective accounting software provides automatic way to create and manage stock details. Page Turning Free PDF to HTML freeware, is a free PDF to HTML program designed for making flip book in a few minutes. Free PDF to HTML Interactive Software also allows you to batch convert PDF files to HTML files in seconds. Page Turning for ePub converter, is flexible and interactive window desktop application for all levels of users used to convert static ePub files to dynamic flash book in just 3 steps. Free Page Turning for OpenOffice converter, is page turning freeware that allows you to create free flash flip book from your static OpenOffice files in just a few steps. Page Turning for PostScript Maker, Making Interactive Online Flash Flipbook converter, is a revolutionary software designed for convert PostScript files (*.eps, *.ps) into PostScript Flash book in a few steps. This site does not contain serial number, crack, keygen Image to Flash Converter serial number : serial number is the simplest type of crack. A serial number(cdkey,product key,etc) is register the program as you may already know. a crack or keygen may contain harmful software. If you cannot find the exact version you want, just give it a try. for more information read .nfo/.txt/.diz file include in zipped file.